Many years ago our friends, Will and Valerie, retired to live in rural France. They converted an old farmhouse into a lovely home with annexed accommodation and a private swimming pool. They are an extremely hospitable couple and they generously invited all six of us to go and spend some time at theirs one summer. Thinking back they really are a remarkable couple because to be honest when your family gets as large as ours you very rarely get invited out for dinner let alone a holiday. We ended up holidaying at Will and Vals several times and it worked out well for all of us. One of the reasons it worked so well for me was that having access to a private pool meant I could relax. At shared pools I tended to be on edge the whole time ready to intervene if Edward started splashing other children too much or tried to tell off other holiday makers for their inability to follow the pool rules. 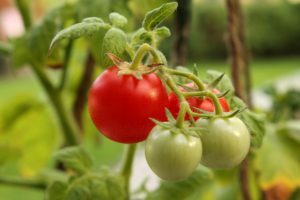 Val is an expert gardener and she produces lots of homegrown vegetables and fruit. At the beginning of our stay Val told me to help myself to her garlic which was hanging up on a hook in the barn. On this particular visit Leila was deemed mature enough to stay up late to eat with the adults. Edward and the twins were to eat earlier and go to bed before the adults had their dinner. I decided to make my three youngest spaghetti bolognese and so I set to it. Pottering up to the barn I helped myself to some garlic and noticed that hanging next to the garlic was a bunch of shallots which was great because I’d forgotten to buy onions from the supermarket. 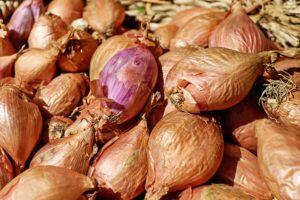 On returning to the kitchen I chopped the shallots which were a slightly different texture to English shallots and fried them along with some garlic. I added the minced beef, tomatoes and herbs and before too long had some spaghetti bolognese to serve up. I tasted a bit to check it was ok and although it wasn’t quite up to my usual standard I thought it would pass the kid test. Edward wolfed his spaghetti bolognese down in no time whilst the twins dawdled over theirs. As the twins finished their last mouthful Edward rushed to the toilet and was violently sick. Nick got Edward cleaned up and off to bed whilst I started giving the twins their usual evening bath. They were both happily splashing around when suddenly Seb was sick all over Ivy which did not impress her one bit however her protest was short-lived as she also started throwing up everywhere. The sight before me acted as a trigger and within seconds I was rushing for the toilet and heaving my guts up too. Nick discovered the three of us in this wretched state and did a heroic job of sorting out the twins and the bathroom whilst I crawled off to bed. I lay in bed trying to fathom out what had gone wrong – I knew it must have been something we’d all eaten, but what? Will, ever the one for problem solving, came and asked me how I’d cooked the meal. I explained that the meat was fresh and that I’d used garlic and shallots from the barn. “Yes, the ones hanging next to the garlic” I replied. I went into a dreamlike state as I tried to process the news that I may have unwittingly killed three of my children and left my other child motherless. Then thankfully my rational side kicked in – we had all been sick pretty much straight away after eating a very small quantity of daffodil bulbs. Surely we’d be ok – wouldn’t we? Will was now on a quest to save the lives of his guests and he did some sterling work. He decided that as we may all need medical assistance we needed to be ready to get to hospital quickly and so we ended up waking up the three kids who had by this time managed to fall into a peaceful sleep. Wrapped up in blankets and strapped into their car seats they looked at me with bewilderment as I said, “I’m very sorry but I accidentally poisoned you earlier and that’s why we were all sick. Will thinks we might need to take you to see a doctor to double-check that you are all ok now”. Edward and Seb took this information on the chin which was unexpected in Edward’s case. Ivy meanwhile glared at me; narrowing her eyes to tiny slits she commanded me to never ever poison her again. I promised I wouldn’t. At one point Will got on the phone to a toxicity expert in Paris who confirmed that we’d all be fine but recommended that we take some rehydration sachets as a precaution. Will found out he could get the sachets over the counter at the pharmacy however it was now closed for the evening and in order to access any medicine it would be necessary to ask the local gendarme (policeman) to open up the pharmacy. Nick and Will set off like two men on a mission. They arrived at the small police station to find a solitary gendarme watching TV, feet propped up in front of him. Will tried to explain that we needed rehydration sachets from the pharmacy but the gendarme didn’t look like he was in any rush to leave his TV programme. However once Will announced in his best French “This is a case of three children being poisoned!” he sprang to his feet; right hand automatically moving towards his holster as the excitement of an actual crime stirred him to action. On realising that there was in fact very little excitement to be had he rather reluctantly obliged Will with his request. Edward and the twins were all back in bed and asleep by the time Nick and Will returned but after all the trouble Will had gone to we felt obliged to wake them up again and get the rehydration medicine down them. They didn’t like it but they gave in under protest and once rehydrated they promptly returned to their slumbers. On our way home after the holiday we called in at my parents and Edward asked his granny, “Do you know what your daughter did to us?” and it dawned on me that maybe I had not been as quickly forgiven by him as I’d hoped. A few days later having done some internet research Edward discovered that other people had made the same mistake as me. One poor teacher had managed to poison her entire class and an elderly chap had tragically killed himself by eating his own french onion daffodil bulb soup. Edward found these stories strangely comforting and started to believe that I’d made an honest mistake and was not a mother to be feared after all. Years later when Leila bought me a card. 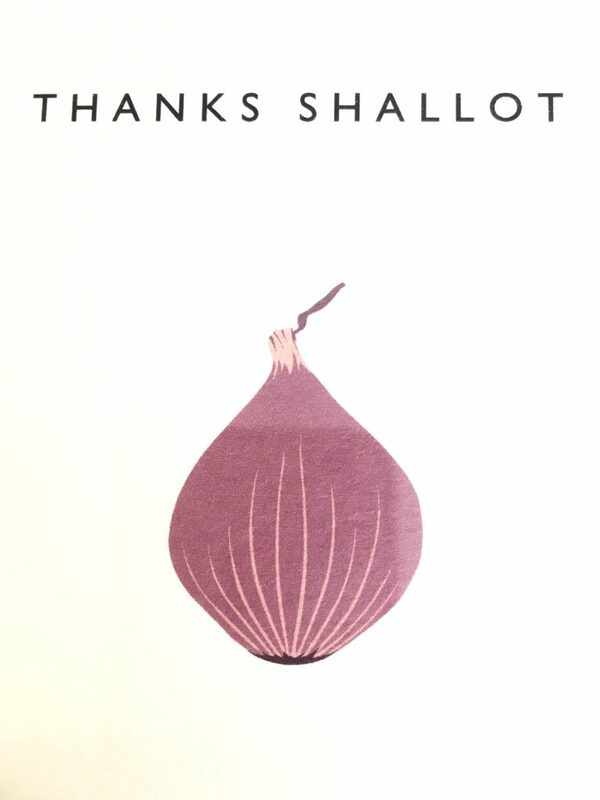 It shows a picture of a shallot with the words “Thanks Shallot” above it. Inside she wrote, “Dear mum, Thank you for not poisoning me. Love Leila x”. It hangs above our dining room table to this day and serves as a reminder of one of our more dramatic family tales. 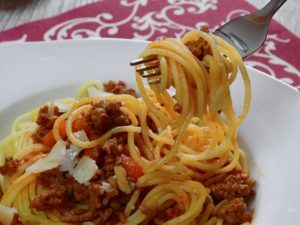 We eat a lot less meat these days, but it may surprise you to know that spaghetti bolognese remains one of our family favourites. Did make me smile even though I was very glad you were all ok! Don’t worry – it still makes us smile too – we’ve all got over it! 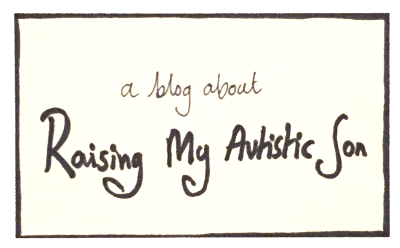 Edward – I had no idea you even read this blog! It was a surprise to see your comment! Having discussed this with you it seems that I do infact need to adda correction! You did not wolf down your spaghetti bolognese. To be honest I just remember that you finished your dinner quicker than the twins finished theirs. Apparently you did think that the dinner tasted a bit strange and you did not eat it quickly. I think you agree with the accuracy of the rest of the story though. Oh Lynne, I am sat here laughing my head off. So funny! Loved the title too and Edward’s comment 😉 Now just about to read it to The Keeper! Thanks Tina – glad I was able to make you laugh!